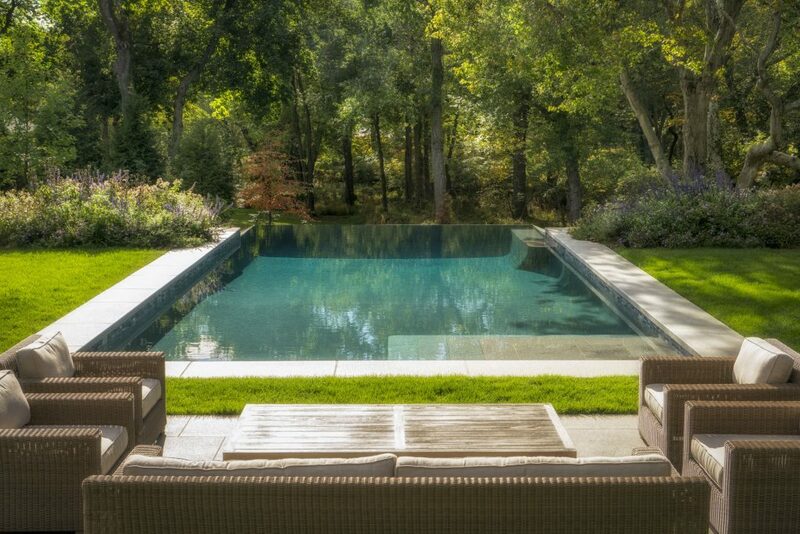 This swimming pool manages to standout and blend in all at the same time. 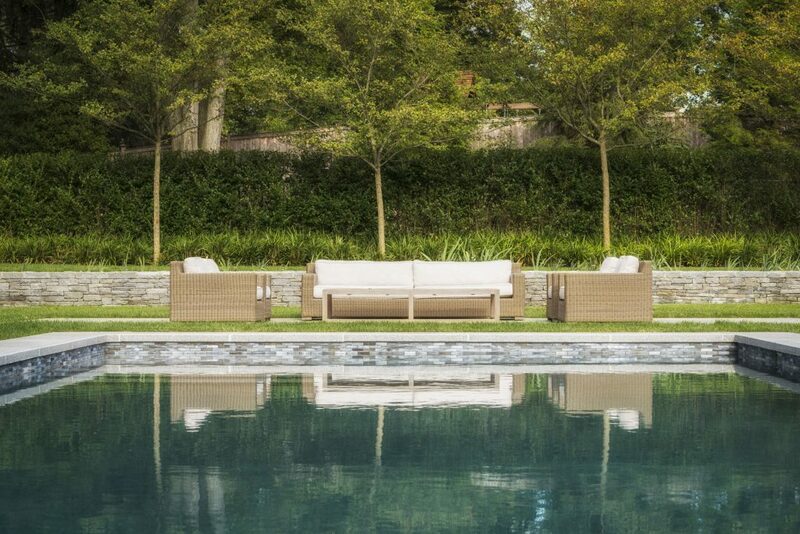 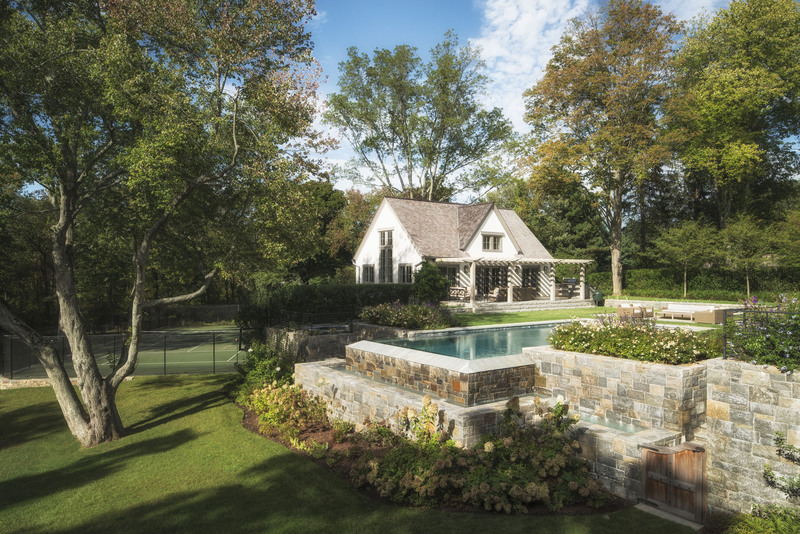 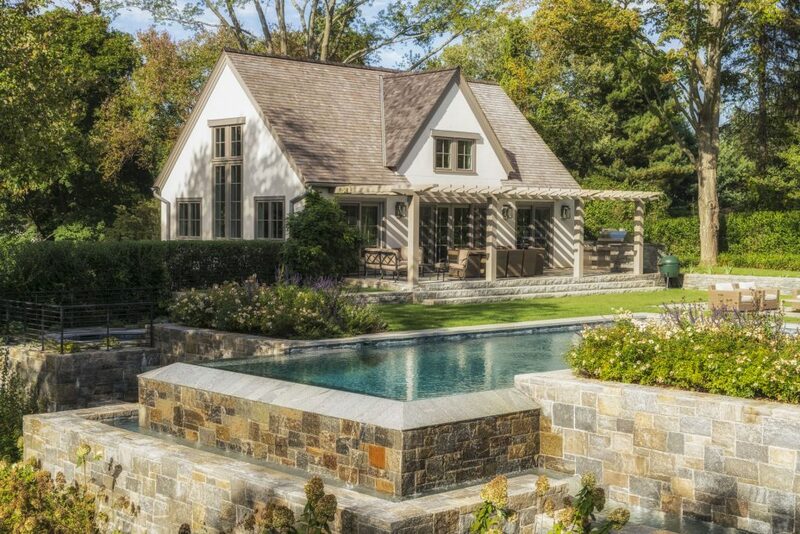 The elegant CT Fieldstone and complex masonry patterns complement the secluded countryside setting and Chateau-style architecture of the home & pool house. 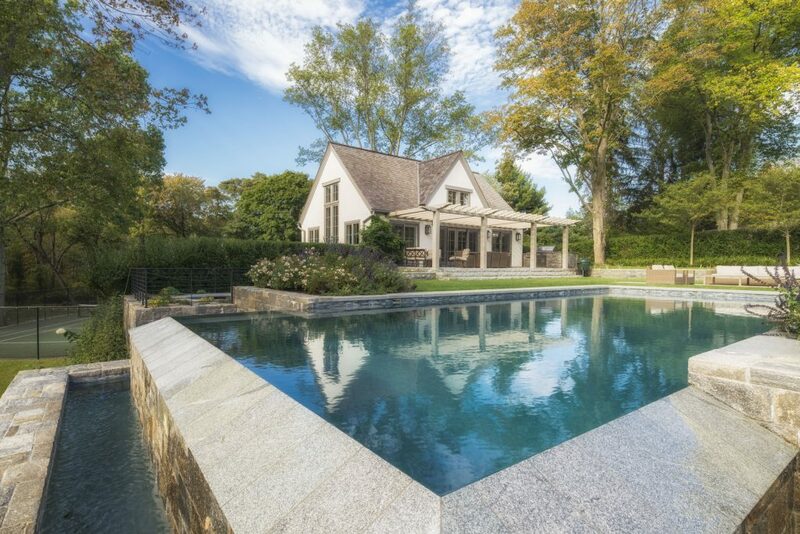 Extra wide 24-inch Hispania granite coping frames a classic rectangular swimming pool with a dramatic 3-sided vanishing edge that gives the illusion of dropping over the hill. 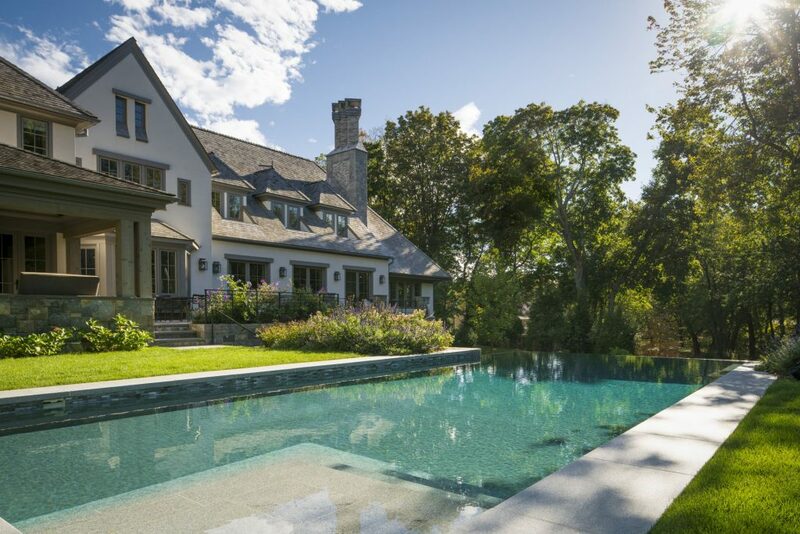 When approaching the home and swimming pool from the private tennis court, it is impossible not to stop and admire the 2-tiered system of waterfalls meandering down the massive natural fieldstone retaining wall that spans an impressive 30 feet wide by 10 feet high.